Qantas becomes the latest company to ditch the BlackBerry in favor of the iPhone. While most CIOs and IT leaders are taking steps to reduce their reliance on RIM’s BlackBerry Enterprise Server (BES), some major BlackBerry business customers are ready to abandon RIM’s services and its BlackBerry smartphones in one fell swoop. The latest company to announce such a migration is the Australian airline Qantas. The company told the Australian (registration required) that it had made the decision to trade its 1,300 BlackBerry devices and related service packages for iPhones. The move, which Qantas expects will deliver significant cost savings, follows a company-wide survey in which a “large majority” of employees said that they’d prefer iPhones. Like other companies and organizations that have announced similar transitions this year, Qantas chief information officer Paul Jones pointed to the iPhone’s ease of use and popularity as reasons for selecting the iPhone. The iPhone offers a user-friendly interface and simple access to emails, contacts and calendars, as well as meeting all Qantas’s security requirements. 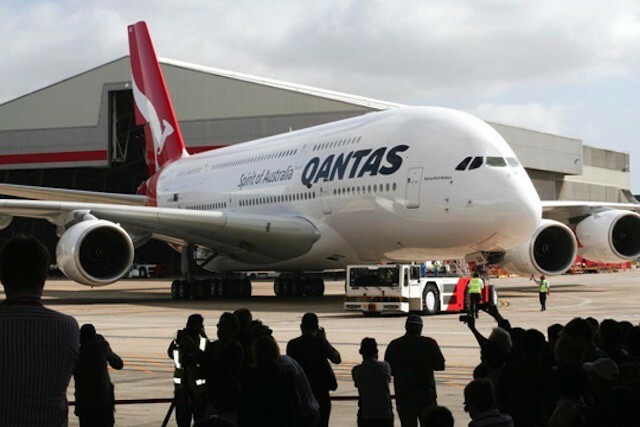 Transition from the Blackberry to the iPhone is part of Qantas’s broader mobility strategy and once complete will result in significant cost savings. Jones also noted that a key factor in the decision was that Apple’s iOS meets the airline’s security requirements. Qantas is also considering adopting a bring your own device (BYOD) program that would allow employees to use their personal smartphones and other mobile devices for work. That program seems likely to focus on Android devices. The Qantas announcement comes as a large majority of IT leaders have said they plan to replace RIM technologies out of fear that RIM could suffer outages as a result of its restructuring as well as the issues that could arise if RIM were forced into bankruptcy or was bought by an outside company. Most organizations are initially planning to replace RIM’s BlackBerry Enterprise Servers with third-party alternatives that also manage iOS, Android, and other mobile device platforms. That would cushion any disruption while also offering an relatively easy migration away from BlackBerry devices. In reporting the story, N4BB.com noted that IBM’s Australia division also recently announced plans to drop the use of 500 BlackBerry devices. IBM noted that doing so will save the company $1.4 million. A RIM Australia spokeswoman recited a message similar to her U.S. counterparts when asked about enterprise customers migrating away from the BlackBerry. No one has a better track record of securely managing mobile devices in the workplace than RIM. Our infrastructure is trusted by some of the most security-conscious organizations in the world — including the Australian government.